Incredible Woodcliff Lake Opportunity! 1.6 Acres! Custom home w/ remarkable expansions set on your own 1.6 acre estate set in the incredible Pascack Valle town of Woodcliff Lake! The flat & sprawling green lawns as well as the magnificent pond make this an absolutely idyllic property! Click here to learn more about this home! Take a Virtual Tour! Browse through more of my Featured Properties! 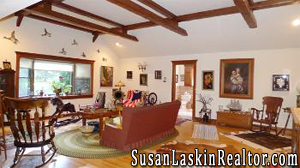 Some incredible listings in Woodcliff Lake and other wonderful Bergen County towns!